Again some handpicked Best Android Apps for Navigation for you in this post – Best Android Apps for Navigation Apps, just like we posted Best Android Apps for Chat, Best Android Racing Games for Android Tablet, Best Android SEO Apps like this posted Best Android Apps for Navigation. You can type or copy any name of the games listed in this list of best Android Apps for Navigation and search it in Android Market Place using the Search function. Google Maps : Download the latest release of Google Maps, and never carry a paper map again. What’s Near : What’s Near App is your mobile navigator. Use interactive maps, driving directions reviews and ratings to find the right service near you: restaurants, cafes, theater etc. Wisepilot – GPS Navigator : Maps, search, GPS navigation and lots of fun. Wisepilot is an award winning search, map and navigation app that gives you maximum flexibility. Wikitude World Browser : Voted ?Best Augmented Reality Browser in 2010?, Augmented Planet (Jan 2011). Sygic – GPS Navigation : Premium turn-by-turn GPS navigation app. Sygic is a voice guided GPS navigation app. It’s packed with TomTom maps and a robust set of navigation features. The apps listed in this Best Android Apps for Navigation post allows the phone to be used very well as a navigation device. They are pre-installed in many cases, Google Maps is one of them which is almost always installed and is enhanced with new features. Best PDF Reader Android Apps for your Android device. 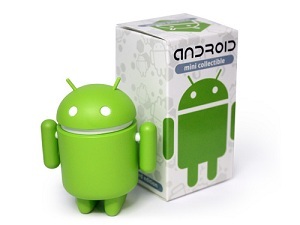 We have selected a wide range of Android Apps so that one can get the right app from the list. Best Android Location Apps are very practical Apps which helps to locate the user and find map, places and more information of the places. Best Synthesizer Apps for Android Devices lists the Apps those can be controlled via touchscreen and simulate a keyboard instrument like Synthesizer. Cite this article as: Abhishek Ghosh, "Best Android Apps for Navigation," in The Customize Windows, November 22, 2011, April 20, 2019, https://thecustomizewindows.com/2011/11/best-android-apps-for-navigation/.